It ends with posing faith in outgoing Chief Justice of India Dipak Misra, expressing hope that he would not take up any post retirement job, following the example set by Justice Chelameswar. 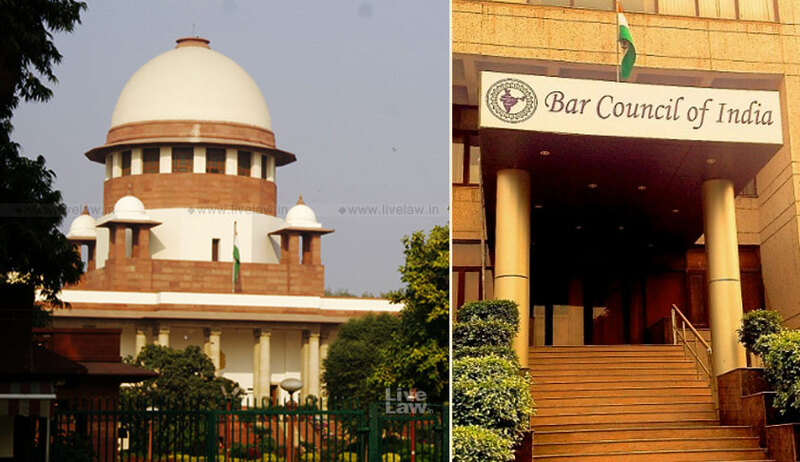 Asking judges to introspect before “blaming or controlling the Bar”, the Bar Council of India (BCI) has requested the judges of the Supreme Court and all High Courts to not take up jobs for at least two years after their retirement. The resolution, it said, was passed during a joint meeting of the BCI with the representatives of State Bar Councils and High Court Bar Associations. In a press release, BCI recalls the furore over former CJI, Justice P. Sathasivam’s appointment as the Governor of Kerala after his retirement, and asserts that such post-retirement assignments, “put a question mark on the fair discharge of judicial functions by the Judge in question during the concluding part of his tenure”. It then spirals back to the judgment in Mahipal Singh Rana vs. State of Uttar Pradesh, when the Apex Court had highlighted an urgent need for review of the provisions of Advocates Act, 1961. A three Judge Bench comprising Justices Anil R. Dave, Kurian Joseph and Adarsh Kumar Goel had also requested the Law Commission of India (LCI) to take up the matter. The LCI report released pursuant to this judgment had suggested drastic changes to the Advocates Act, attracting the wrath of lawyers throughout the country. Making reference to this judgment and LCI report, the release points towards the role of a particular Supreme Court judge in passing orders “with sole intent to shut the mouth of the Bar”. The same judge, it said, was a part of the bench that had opined that “strikes are in violation of law laid down by this Court”, and that “the office bearers of the associations who give call for the strikes cannot disown their liability for contempt”. The BCI also tries to justify its stand, stating that BCI and State Bar Councils are never in favour of strikes, and have in the past taken stern action against erring advocates, if such strikes have been found to be unjustified or uncalled for. …But we fail to appreciate the hostile attitude of some of the Judges of the country towards Bar and their Institution,” the release says. It thereafter expresses its dissatisfaction with the sort of cases that it feels judges are focussing on, stating that traditional litigations are suffering due to “media-popular matters”. It states, “The traditional litigations, for which the courts are made, are being ignored, most of the Judges have no interest in such cases and the result is that theses cases poor and common litigants are rejected mercilessly. The release then lauds the initiative taken by Justice J. Chelameswar and Justice Kurien Joseph in publicly announcing that they would not take up any post retirement jobs. It states that this “would go a long way in promoting a healthy democracy in the country”.